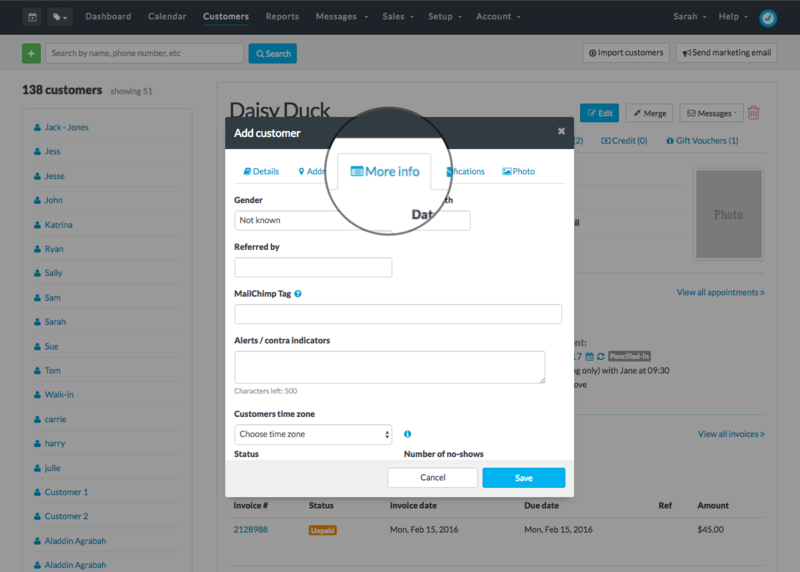 Timely makes it easy to add and manage information about your clients. This includes the basics like the client contact details, but also includes their appointment and sales history, current balance and any detailed notes or alerts. Add a customer via an appointment. 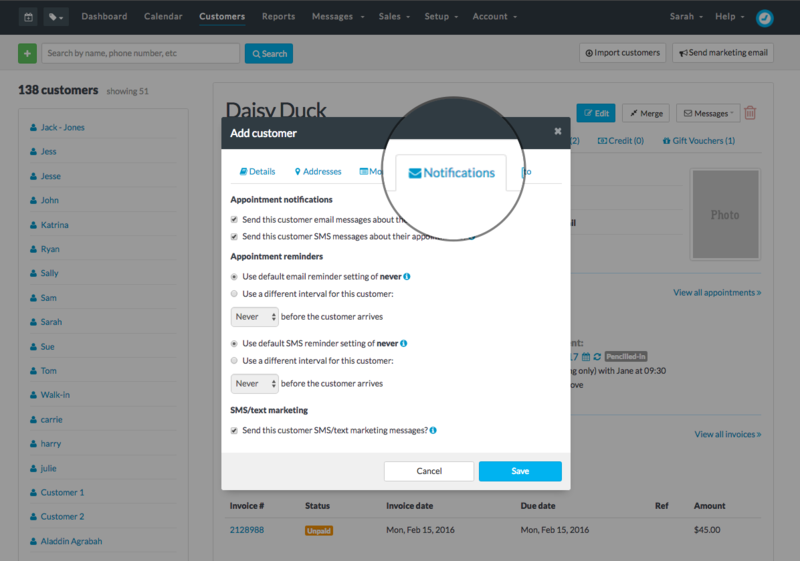 You can create a new customer while adding an appointment to the calendar. This allows you to quickly add them to your database, with some basic information. You can then view and edit the customer's record to add any further information. 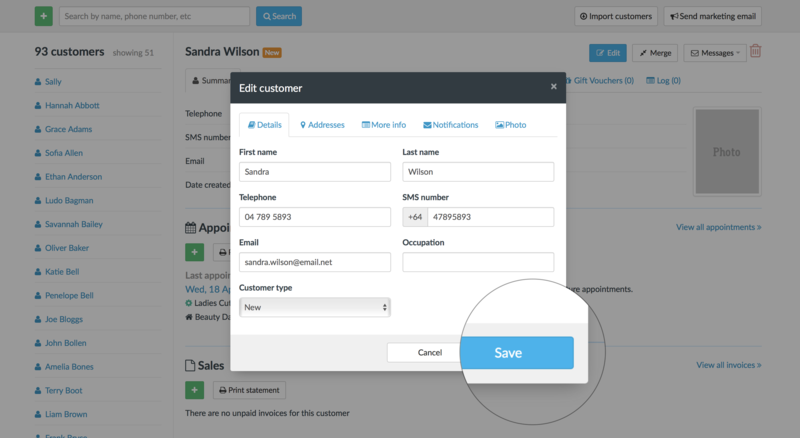 When you click Save to add the appointment, a new customer record will also be created. 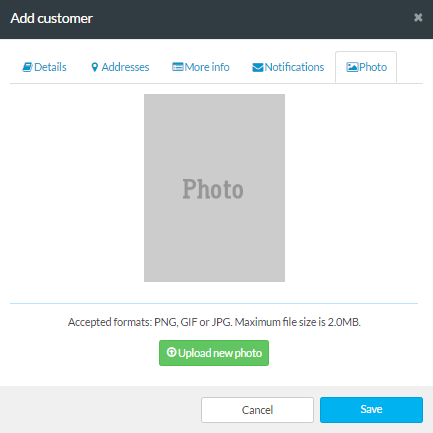 Once the customer is added, you will be able to view and/or edit their record to add more information. Check out the Edit an customer record below, for more information. You can add a bunch of information to the customer's record. This doesn't have to be done all at once, so you can click Save at any point to apply your changes. If you want to send SMS or email reminders, you will need to make sure that the Email and SMS Number fields are completed. Note: We will automatically add the international prefix to the SMS Number - to make sure that your SMS messages are sent, remove the "0" from the beginning of the number e.g. "21400641". 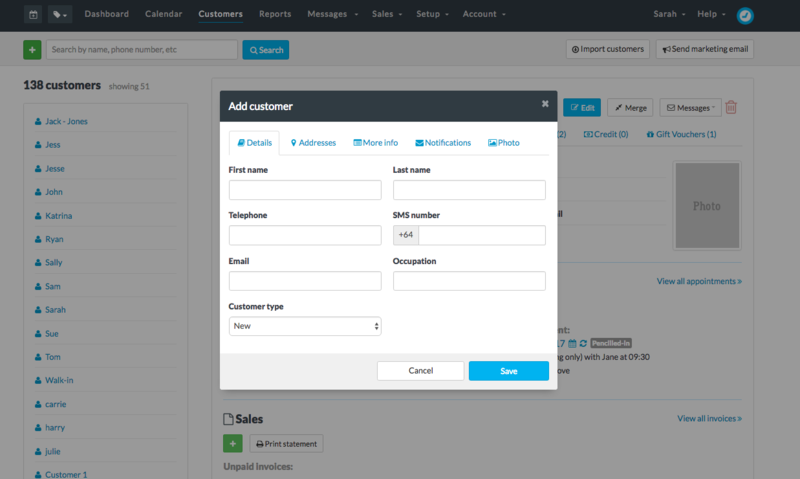 Need to import customers in bulk? We can help! 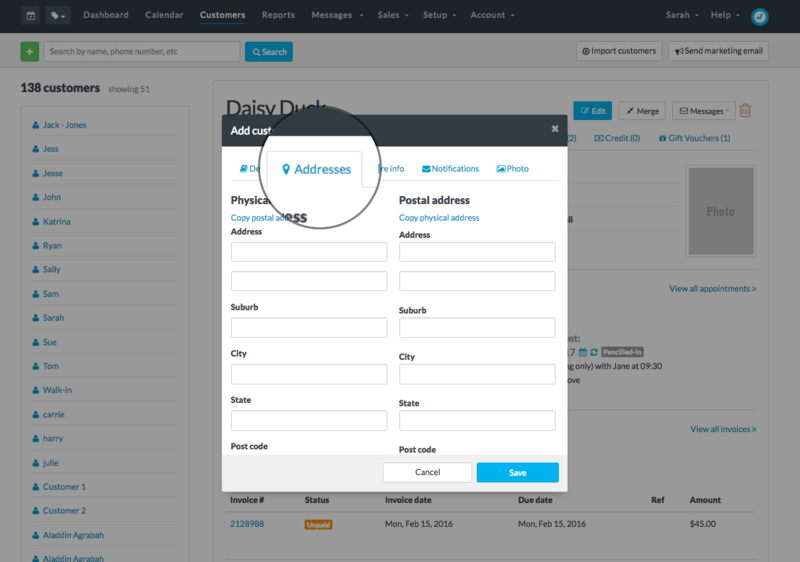 Check out our How to import your customers into Timely guide. For a full list of all your customers, head to Reports and run the Customer list report. If you'd like to update or add to a customer's record, this can be done from a number of different places. Head to the Customers tab from the main menu.